The state began rolling out the rules in June in phases, when 26,000 residents ages 30-49 with no children under 18 at home became subject to the work requirement. Of those, the state exempted about 15,500 based on its own records and another 2,400 claimed exemptions, according to Judy Solomon of the Center for Budget and Policy Priorities, a Washington think tank. That left 8,100 required to report their hours, of whom 4,574, or 56%, failed to comply. Re: “Military trained to engage enemy,” by John D. Zeigler, Wednesday Letters. As an avid reader of letters to The Dallas Morning News and a semi-frequent contributor, I read every letter every day. Wednesday’s seven letters marked a high point. Of seven letters, I found myself in complete agreement with six. The one I could not endorse was the blanket prohibition against combat veterans being hired as police officers. Of all the job skills required of officers, the split second recognition of friendly vs. bad guy is the highest priority. While this writer has no experience in either sphere, in my reading and many years of viewing news shows, our soldiers on the ground were seldom the focus of collateral civilian deaths. They were typically the results of understandably inaccurate aerial bombing, not trigger-happy ground troops. To extrapolate the Roy Oliver conviction into a blanket prohibition against all combat veterans would be a tragic waste of talent and resources for our nation’s police and sheriffs’ departments. It would also deprive returning veterans of a logical source of secure employment on re-entry into civilian life. We certainly don’t need another form of blind, senseless discrimination on our crowded list. Re: “Kingston accused of racism — Mayor, others scold him over push for white mayor pro tem,” Wednesday news story. I have followed the Dallas City Council and our mayors for years and simply would like to say I believe all of us would like to see leaders in office who are men and women of integrity regardless of race. My continued prayer as a Christian is for our city to stand above politics and race and honor one another even when we agree to disagree. Our president wasn’t invited to the big funeral (John McCain’s) and he wasn’t invited to the big wedding (Prince Harry and Meghan Markle). Maybe he will be invited to the big house (Robert Mueller’s). Shame on Garland. When the rest of the world is doing away with elephants in circuses, they are welcoming the Garden Circus, with a grade of F by the Better Business Bureau, to showcase their cruelty at the Curtis Culwell Center. My God, what does it take to make people do the right thing? Even though the city of Garland has a law against wild animals, they are allowing this to take place. Anyone who can read should know these circus elephants are tortured into submission for years and controlled with bull hooks. They are dragged around the country on trains, forced to stand in hot and cold temperatures for hours on end. I believe allowing this to continue is a stain on Garland. What kind of lesson are you teaching your kids to see animals in shackles be forced to do silly parlor tricks against their will? Shame on Garland. Shame on the City Council for allowing this travesty. Shame on Texas. Re: “Take lessons from Scandinavia,” by Jerry Frankel, Sunday Letters. Letters suggesting we learn from such as Scandinavia and Norway always intrigue me. My first response is, “Look At A Map!” Norway resembles Florida in size. Norway offers free health care, free schools, French Constitutions and the right to own guns. All this free sounds wonderful, but as the saying goes, “There is no such thing as a free lunch.” Somebody has to pay. Who? In Norway, there were many wealthy people and the wealth was better distributed across income levels, according to one letter writer. How can we accomplish this wonderful income distribution in our United States? In Scandinavia, “after paying high taxes, higher education is free … all medical care is free and medications are affordable with price controls.” Does this sound like what we want across the board for our vast and millions-population country? I am a Texan with a medically complex child. This child was diagnosed in utero with several life-threatening diagnoses. My husband works so that I can stay home with my child and give her the best care possible. My family of four has private insurance through my husband’s employer that gives us access to health care. My child’s life depends on access to health care that accepts pre-existing conditions. Though the Medicaid funding in the state of Texas is absurdly insufficient, individuals like my daughter have access to some kind of care. Without the protections on pre-existing conditions, my daughter would have died. Our family does not meet the requirements to receive Medicaid in any form, and the wait lists are astounding for a Medicaid waiver. For some, insurance equals life. Without appropriate coverage, individuals like my child will die. Additionally, if an annual or lifetime cap is put on policies, it affects the quality of care and quality of life of a medically complex or medically fragile individual. I ask, as a concerned citizen, a dedicated mother, and a proud American that we fight for the health care rights for those who depend on it. Last weekend, my husband and I drove around Dallas looking for a site to film a video. We passed the spillway at White Rock Lake, Winfrey Point, Klyde Warren Park and the Winspear Opera House in Arts District. The city looked wonderful. Then we passed the gateway to Far North Dallas, Valley View Mall. I was ashamed and embarrassed. Dallas, tear down this mall. How long must we endure The Dallas Morning News’ love fest with Texas A&M football? There are more Ben Baby (and other writers) swooning over A&M articles than the rest of college football articles combined. Barely a day goes by without some hysteric praise for what Aggie football is. Last time I looked, Aggie football is exactly what it was while in the Big 12 — middle of the pack, mediocre, nothing special. Sure, Aggies made a terrible contract with their new coach who can quit today to pursue a career in tiddlywinks and still be owed his entire $75 million contract. We get it, that’s newsworthy a time or two. But the constant refrains of Jimbo this and that is another example of Aggie brag about things they have not done, though they are sure spending all this money means they will do. If I wanted all Aggie hype and puffery on a daily basis, I’d subscribe to their blogs. There are many other stories from many other worthy Texas college football programs going untold so we can have another Aggie commercial. Hook ’em, Wreck ’em, Sic ’em, any other ’em but gig. HELENA – Two tobacco firms have put another $7.7 million into their campaign to defeat Initiative 185, which would increase state tobacco taxes and make permanent Montana’s expanded Medicaid program. The contributions last month from Altria Client Services, the makers of Marlboro cigarettes, and RAI Services Co., which makes Camel cigarettes, make the battle over I-185 the second-most-expensive campaign this year in Montana, trailing only the U.S. Senate race. Altria and RAI have almost entirely financed Montanans Against Tax Hikes (MATH), the group formed to campaign against I-185, making cash contributions or donating services totaling $8.84 million. MATH reported this week that it spent $3.5 million during the month of August, including more than $3 million on TV, radio and digital ads – and it still had $4.2 million in the bank as of last week. So far, Altria has put nearly $4 million into the campaign and RAI has contributed almost $4.9 million. Supporters of I-185 said “big tobacco” is spending big money to protect their profits “at the expense of healthcare for 100,000 Montanans” – a reference to the number of people covered by expanded Medicaid. “It’s clear that the world’s largest tobacco corporations are willing to stop at nothing to protect their profits,” said Amanda Cahill of the American Heart Association-Montana. Officials with MATH couldn’t immediately be reached for comment. Supporters of I-185, however, haven’t been sitting on their hands when it comes to money, either. MHA, the state’s hospital lobby, contributed $962,000 last month to the ballot committee supporting I-185, bringing the total support of MHA and individual Montana hospitals for the measure to nearly $1.3 million. Other entities supporting I-185 include Families USA Action, the American Cancer Society-Cancer Action Network, the Montana Human Rights Network, Planned Parenthood of Montana, and several health-care and low-income groups. All told, the supporters of I-185 have put $2 million into their effort, through the end of August. I-185, if passed, would increase state taxes on cigarettes by $2 a pack and hike wholesale taxes on other tobacco products by 67 percent. It also makes permanent Medicaid expansion, which provides virtually free health coverage to 100,000 low-income adults in Montana and brings hundreds of millions of federal dollars into the state. Medicaid expansion is set to expire next June in Montana unless the Legislature or voters extend it. Money raised by the higher tobacco tax would help fund the state’s share of Medicaid expansion, which is financed primarily by the federal government. But the taxes raised by I-185 don’t go entirely to Medicaid expansion and wouldn’t cover all of the state’s share. Opponents of I-185 have seized on this point in their ads, saying the measure creates an “unfunded mandate” by extending Medicaid expansion. Revenue raised by I-185 also is earmarked for tobacco-prevention programs, veterans’ programs, assisted living programs for the poor and the state’s general treasury. As many as 4,600 Medicaid recipients in Arkansas have lost their benefits for the rest of this year after failing to meet the state’s new work requirements. A medical document with the unwieldy acronym POLST may be your ticket for assuring that your final days play out the way you’d like them to. The letters stand for Practitioner Orders for Life Sustaining Treatment, and in plain English, they let healthcare providers know what measures – if any – you would like followed if you are unable to communicate your wishes yourself. Now officials with the state Department of Human Services are taking a new look at these directives and other end-of-life matters in hopes of improving patient care. Last week they announced they will expand Medicaid coverage for advanced care planning, which has important implications for the 1.7 million low-income residents who depend on the federal health-insurance program. The move follows similar efforts by DHS, which oversees Medicaid, to look beyond traditional doctor visits to cover such services as diabetes education and smoke-cessation programs. It’s also a response to organizations such as the New Jersey Health Care Quality Institute, which has been pushing the state to focus its energies on better informing Garden State residents about the options available as the end of life nears. The organization seeks more robust funding for palliative care services, an approach that focuses on keeping patients comfortable and pain-free during life-threatening illnesses. It also advocates paying physicians higher rates for end-of-life consultations, conversations too few doctors are trained to enter into. Ninety-nine percent of physicians taking part in a recent national poll said these discussions are necessary, but fewer than one-third of them said they had received any formal training on conducting them. Only 14 percent said they billed for such a consultation. Making patients aware of the POLST forms, which are available online on the Department of Health website, is a valuable step as New Jersey’s population ages. Signed by both the doctor and the seriously ill patient, the document spells out preferences about such life-saving procedures as cardiopulmonary resuscitation, mechanical ventilation, intubation and artificially administered nutrition. At its simplest, the form helps a patient avoid unwanted medical intervention, while providing peace of mind for family members seeking guidance during a tense and emotion-laden time. While the POLST forms aren’t new – former Gov. Chris Christie signed legislation authorizing their use in 2011 – what is new are efforts to develop an electronic system for storing the information in a database that will be immediately accessible to hospitals and health-care providers statewide. Putting a priority on end-of-life strategies is a welcome development, one that will not only help reign in medical expenditures over the long run, but also serve as a source of comfort to the state’s patients and their loved ones. Somewhere along the line, annual spending for Medicare and Medicaid hit the $1 trillion mark. More than half is Medicaid. Too much of that money goes out as improper payments and the Centers for Medicare and Medicaid Services has been on the Government Accountability Office’s high risk list for a while. Carolyn Yocom, the GAO’s director of health care issues, gave highlights of the latest progress report on Federal Drive with Tom Temin. For years, Democrats in North Carolina have pushed to expand Medicaid, a move they say would help hundreds of thousands of North Carolinians afford health insurance. JD Wooten, A Democratic candidate for state Senate, added new fuel to the expansion debate when he blasted his opponent, four-term Republican incumbent Sen. Rick Gunn, in a campaign ad. “My opponent, Rick Gunn, blocked the expansion of Medicaid — costing half a million people health insurance, including at least 23,000 veterans,” Wooten said in a caption posted with the video. We wondered if Wooten — who is running in North Carolina’s District 24, which includes Alamance County and part of Guilford County — was correct in his estimates. We decided to take a look. Medicaid provides health insurance to low-income people. North Carolina has participated in the program since 1970 but remains one of 17 states that has not moved to expand it. Medicaid expansion — an action made possible by the federal Affordable Care Act — would give coverage to folks with household incomes below 138 percent of the federal poverty level. As a result, many North Carolinians who do not qualify for the ACA’s health care subsidies or regular Medicaid coverage would be able to escape the so-called coverage gap. Since his election in 2016, Democratic Gov. Roy Cooper has battled with conservatives in the state’s Republican-led legislature over the issue. There were signs of a bipartisan agreement when Republicans authored a 2017 bill called “Carolina Cares,” but the legislation never got off the ground in committee. But while some state Republicans have worked toward compromise, Gunn was among many co-sponsors of a 2013 bill that rejected the ACA’s optional Medicaid expansion, clarified the state’s intent not to operate a state-run health benefit exchange and determined that Medicaid eligibility decisions would be made by the state rather than the federal government. The bill was adopted by a vote of 74 to 40 in the state House and 31 to 16 in the state Senate and signed into law by then-Gov. Pat McCrory. Gunn did not respond to multiple requests for comment, but Republican leaders in the legislature have consistently opposed Medicaid expansion, saying North Carolina’s share of the rising cost of the program would be too expensive. Senate leader Phil Berger called it a “budget-busting” expense, The News & Observer reported in 2017. The Wooten campaign cited several reports to support the claim that withholding Medicaid expansion was costing half a million North Carolinians health insurance. Among those were articles from the left-leaning North Carolina Justice Center, the pro-expansion Close the Gap NC and the North Carolina Medical Journal, all of which estimated that the expanded benefit would give new coverage to some 500,000 people. Most other reports predicted similar results. The U.S. Census Bureau, for example, estimated in 2016 that there are more than 440,000 North Carolinians who are uninsured and earning less than 138 percent of the federal poverty level. David Anderson, a research associate at Duke University’s Margolis Center for Health Policy, said the actual impact would likely exceed the Census Bureau’s estimate because additional people who are currently insured on ACA exchanges could be expected to transfer to Medicaid if an expansion bill passed. “The estimate of 500,000 North Carolina residents would be covered by Medicaid is a solid estimate well within consensus, expert opinion,” Anderson said. Other experts we consulted agreed. “It appears that about a half a million people is close in the estimate,” said Lisa Dubay, senior fellow in the Health Policy Center at the Urban Institute, a left-leaning, Washington-based think tank. Predictions and estimates vary, but Wooten’s claim does not seem to oversell the impact Medicaid expansion could have. In a 2017 article, North Carolina Health News reported that the number could even exceed 625,000, according to the state’s Medical Care Advising Committee, a collection of health clinic managers, doctors and administrators. The Wooten campaign did not say how or where it found its estimate for the impact on veterans, but the number may have come from NC Policy Watch, the news arm of the NC Justice Center, which cited a 2013 study from the Robert Wood Johnson Foundation and the Urban Institute. According to that study, approximately 23,000 North Carolina veterans would receive Medicaid coverage under an expanded program. Anderson noted, however, that although the estimate resulted from a sound statistical process, it is becoming outdated. Jennifer Haley, a research associate in the Health Policy Center at the Urban Institute who co-authored the Robert Wood Johnson Foundation study, also directed us to a more recent report issued by the Urban Institute in 2016. That report estimated that, of the 25,000 veterans projected to be uninsured in North Carolina in 2017, 2,000 would be eligible for but not receiving Medicaid and another 12,000 would fall into the coverage gap, for a total of approximately 14,000 people. This number is short of Wooten’s 23,000, but Anderson explained that the difference between the two studies’ findings is likely due to sampling error and trend changes. So Wooten’s estimate may be outdated, but it does not seem unreasonable. And his larger point — that a large number of veterans would gain coverage from Medicaid expansion — holds true. Wooten is mostly correct on the first two charges and close to correct on the third. Gunn co-sponsored a 2013 bill that rejected Medicaid expansion, so even if he was not solely responsible for blocking expansion, he played a role in it. Experts agree this is costing approximately 500,000 North Carolinians the chance at receiving health coverage. That would include many veterans, although the exact number is less clear than Wooten suggested. But given the available research, Wooten’s number seems reasonable. PolitiFact rates this statement Mostly True. (HealthDay)—From 2013 to 2016 there was an increase in children’s participation in Medicaid and the Children’s Health Insurance Program (CHIP), according to a report published in the August issue of Health Affairs. Jennifer M. Haley, from the Health Policy Center in Washington D.C., and colleagues used data for 2013 to 2016 to examine uninsurance and eligibility for and participation in Medicaid/CHIP among individuals aged younger than 65 years. 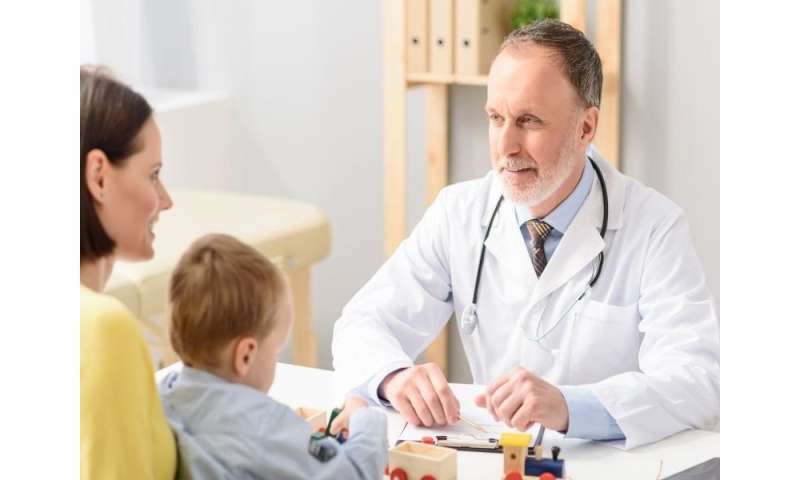 The researchers found that overall, Medicaid/CHIP participation reached 93.7 percent in 2015; programs reached more than 90 percent of their target population of children in all but five states, while in four states, participation was above 97 percent. In every state, participation was lower among parents than children, with participation ranging from 94 percent. On average, participation in 2016 was higher in Affordable Care Act (ACA) expansion versus non-expansion states. The increase in children’s Medicaid/CHIP participation correlated with a 47 percent decrease in the number of eligible but uninsured children, from 3.5 to 1.9 million between 2013 and 2016. In 2016, an estimated 5.7 million adults were eligible for Medicaid but uninsured; 73.6 percent of them were in expansion states. 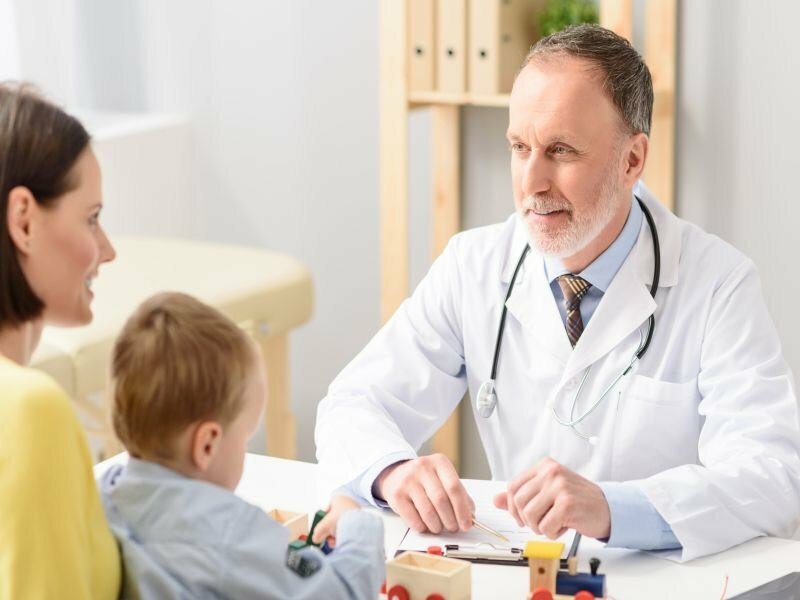 “Children’s participation in Medicaid/CHIP rose between 2013 and 2016, which suggests that continued policy efforts to improve outreach, enrollment, and retention and the implementation of the ACA’s coverage provisions succeeded in reducing the number of eligible but uninsured children,” the authors write. The owners of an Anchorage company that ran assisted living homes for people with disabilities were convicted Thursday of fraudulently billing Medicaid for services that were never provided, bilking state taxpayers of hundreds of thousands of dollars, prosecutors said. The company, Flamingo Eye LLC, came under scrutiny by state investigators in 2015 after a resident at one of the homes killed his caregiver. The trial lasted five weeks and included the testimony of a dozen witnesses. On Tuesday, jurors concluded that Flamingo Eye and its owner, Margaret Williams, were guilty of committing a number of crimes, including felony medical assistance fraud, between January 2011 and December 2016. “The business model was to house vulnerable disabled adults approved for Medicaid-funded care, not provide that care at all or over-report the level of care provided, and fraudulently bill Medicaid,” assistant attorney general Eric Senta wrote in a charging document. On Nov. 7, 2015, Gilbert Nashookpuk called 911 and told police he strangled, kicked and punched his caregiver, Glenna Wyllie, at a Flamingo Eye home on Viburnum Drive in South Anchorage and hid her body behind a basement freezer. He was sentenced to 60 years in prison about two and a half years later. At the time, the company was operating a number of assisted living homes for people with disabilities in the Anchorage area. The homes housed between 10 and 15 people at any given time, Senta wrote in the charges. While investigating the business after the slaying, an investigator “discovered discrepancies and impossibilities on the significant majority of the Medicaid billing documents provided by Flamingo Eye,” Senta wrote in the charges. — Employees filing timesheets indicating they provided three hours of daytime rehabilitation services to six people individually in a single shift. — Timesheets that reported clients were taken to businesses on holidays at times that the businesses were closed. — Timesheets that were identical to the same day in every other month that calendar year. — Timesheets that showed employees overseeing two different residences on the same shift, though the model calls for an employee to oversee a single residence on a shift. An investigator with the state’s Medicaid Fraud Control Unit spoke with several lower-level employees after discovering the paperwork discrepancies, Senta wrote in the charges. Each of the employees admitted they had filled out documents that weren’t true, or were true but later changed by supervisors, or were true and were disregarded by supervisors while billing Medicaid, Senta wrote. In one instance, an employee recorded that he had taken two clients to baseball fields for exercise, which should have been billed at a group rate. From there, upper managers took his report and intentionally billed Medicaid as if the services were one-on-one, a much-higher rate, the charges say. Another employee said he took a client to the Fifth Avenue Mall for daytime rehabilitation between 8:30 and 9:15 in the morning. That wasn’t possible, since the mall was closed at that time, Senta wrote. In such cases, Williams was paid personally at an inflated rate for the services, the charges say. Overall, she had been paid an average of $1.45 million from Medicaid every year since 2012, according to the charges. Other complaints from lower-level staff involved the company either not providing services or providing services that were unsafe. The Medicaid fraud investigator reported an instance of an upper manager doctoring a report of a medical emergency to make it appear that 911 had been called right away, when that was not the case, Senta wrote in the charges. The company faces a maximum fine of $2.5 million. Williams, the owner, faces up to 10 years in prison, a fine of $100,000 and restitution to the state Medicaid program. Sentencing has been set for January. An attorney for both Williams and the company, Chester Gilmore, didn’t immediately return a call seeking comment. WEST DES MOINES, Iowa–Fred Hubbell, a retired Des Moines business man and philanthropist, is making the Branstad-Reynolds administration’s 2016 decision to privatize Medicaid delivery services the main thrust of his Democratic campaign for governor this week. Hubbell met Tuesday with about a dozen organizations that provide care to Iowans with physical, mental or developmental challenges. “Beginning day one, we’re going to change this system,” Hubbell pledged to the group if elected governor. Nearly 700,000 disabled and low-income Iowans receive Medicaid services. Hubbell’s running mate, State Senator Rita Hart of Wheatland, headlined Medicaid round table campaign events scheduled Wednesday in Ames, Mason City and Cedar Rapids. Providers, recipients and family members have complained ever since former Governor Terry Branstad, a Republican, shifted management of the Medicaid delivery system to private companies. Critics say the companies put profit over patient care and have reduced services and reimbursements, which endangered the health of recipients and threatened the financial ability to providers to stay in business. The providers expressed those concerns Tuesday afternoon to Hubbell at Link Associates in West Des Moines, an organization of 300 employees that offers services to 900 people with intellectual disabilities. Hubbell said that he would shift much of the system back under state management, although he said it would take months for the full transition to occur. Branstad and his successor, Governor Kim Reynolds, have claimed privatization would save taxpayers hundreds of millions. Although, Reynolds’ administration has faced criticism for failing to document the specific savings the switch has realized. Reynolds’ administration agreed to increase payments to the private companies managing Medicaid by 7.5 percent in the coming year, which will mean more than $100 million in additional costs to the state treasury. Reynolds claims that the system is getting better. She acknowledged after becoming governor in May, that her predecessor may have rushed the privatization. But she has appointed Mike Randol as the new Medicaid director in the state.